FORD is recalling more than 300 police SUVs after it was discovered a sticky accelerator pedal could endanger the lives of officers and others on the road. 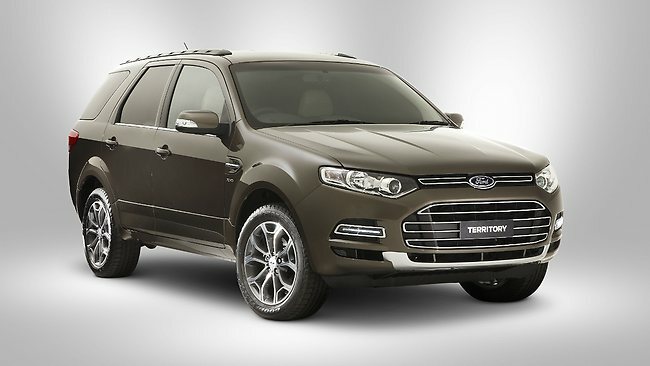 The Territory SUVs, modified for police duty nationwide, were recalled after it was found a piece of interior trim was interfering with the accelerator pedal. The recall covers vehicles fitted with the Police Equipment Pack built from April 11, 2011, through until May 24 this year. The custom fit-out of the SUVs involves extra wiring for police computer and communication equipment. Ford spokesman Neil McDonald said a small number of reports of the pedal sticking had led to 302 vehicles being recalled. "The problem relates to the area around the driver's side footwell cowling, the kick panel area near the accelerator," he said. "It may interfere with the accelerator pedal travel, potentially resulting in the engine not returning to idle. "The cowling can move due to additional wiring underneath. It moves it out to near the top of the accelerator pedal." Mr McDonald said there was a small number of reports of pedals sticking, but no accidents had been reported and the problem could be fixed in under 20 minutes. Queensland Police Union president Ian Leavers said while it was worrying, it was a relief the sticky pedal was discovered without major incident. "We are just glad it has happened before anyone has been injured or worse," he said. Ford has already sent out letters to law enforcement agencies, but anyone with concerns can contact Ford's Customer Relationship Centre on 1800 503 672. Can't build quality cars and can't fit option packs correctly. What chance do they ever have of being a serious threat to Holden or any of the jap brands. Last edited by tickford_6 on Wed Sep 19, 2012 7:38 am, edited 1 time in total. Can't build quality cars and can fit option packs correctly. fords have been gettin cheaper, shlttier and more plastic since the B series. Meh what ever you recon, My job is to fix cars, I see a hell of a lot more then you ever will. Fords Quality is BAD and getting worse and it shouldn't take a genius while fitting the police packs to notice the carpet and kick panel is going to interfere with the accel pedal. Every fitter should now be on their first written warning for letting such crap go out the door.